With warmer weather approaching it is time to start taking preventive action towards fleas & ticks! 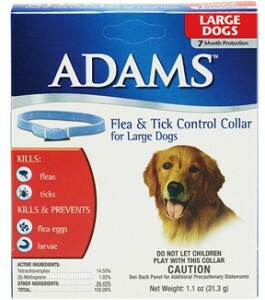 Take advantage of our special on Adams Flea and Tick Products. $3 Off – In Store Discount. Read below for more protection tips against these pests. Stop by Lochte Feed & general Store and stock up on flea and tick products and all your pets needs! This entry was posted on Wednesday, March 20th, 2013 at 4:58 pm	and is filed under News & Updates. You can follow any responses to this entry through the RSS 2.0 feed. Both comments and pings are currently closed.